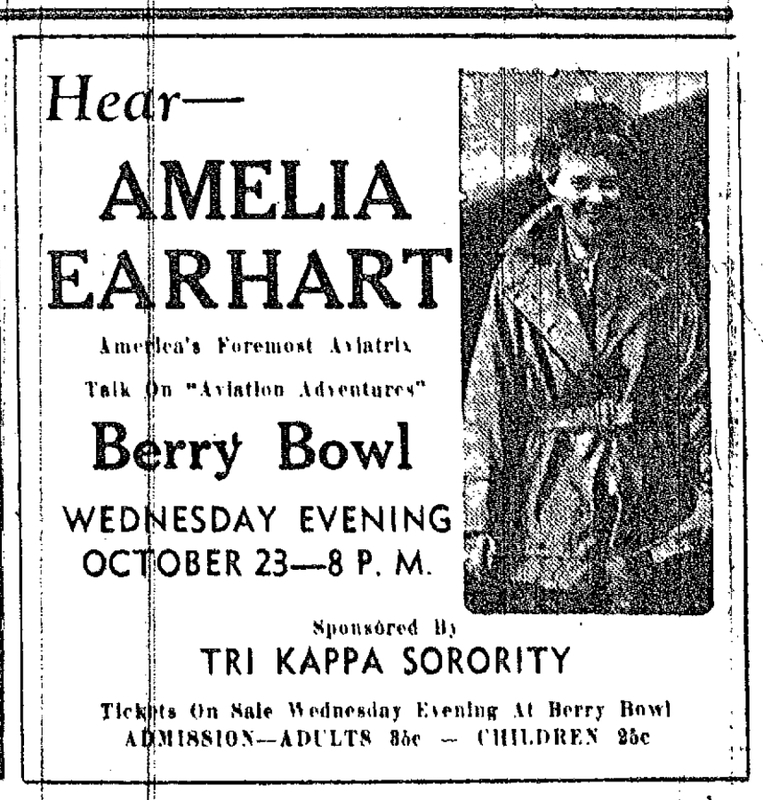 Sponsored by the Tri Kappa Sorority, on October 23, 1935, famous aviator Amelia Earhart gave a talk on "Aviation Adventures" in the Berry Bowl. Admission was 35 cents for adults and 25 cents for children. From 1935-1937, Earhart was a Purdue University career counselor and adviser to the Department of Aeronautics.